NATO Allied Command Transformation is a treaty-based organization currently comprised of 26 member nations, as well as a growing number of partnership countries. With the relavency of its existence in question, NATO was faced with a decision of reinvention. Many in the international political arena argued that NATO was designed to defend in the Cold War era, and today’s changing political environment and non-traditional, asymetrical warfare realities meant it either needed to dissovle or restructure its capabilities in a dramatic fashion. Its challenges are considered unique in most contexts. NATO ACT houses over 1,000 military, civilian and contract personnel in its Norfolk headquarters. The military members come from any of the 26 member nations, bringing together a variety of cultures and languages. Their working challenges include communications barriers, cultural barriers, and proficiency barriers related to classic military rotations. Most serve for a three year tour. The organization must continually find a way to unite its workforce in a common quest to stay focused on its core strategic objectives, to align their work programs to these objectives, and to strive for improved effectiveness and efficiencies in their production of new capabilities. 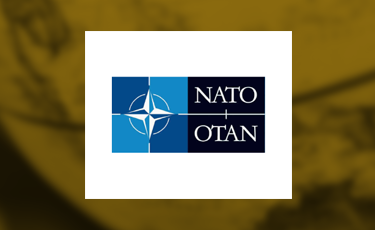 Starting in 2007, NATO ACT leadership chose to implement a strategy management process, based on the Strategy Map and Balanced Scorecard models, to define and clarify its strategy of both organizational restructuring and a focus on new future capabilities for the alliance. Through the implementation and use of strategy-focused performance review processes, NATO ACT was able to quickly improve its focus and progress in achieving its transformation to an organization delivering relevant and effective security to its member nations and partners. Many organizations argue, “We are special and that won’t work here.” The NATO ACT case study shows that even with some of the most challenging structural and environmental barriers, the tenets of strategic focus, measurement of progress, and alignment of limited human and financial resources still ring true and prove as effective mechanisms to drive improved results.